And I had to do the inside. I kept it pretty simple but still pretty. I hope you like it! Thanks for looking. Well, it's been a long time! I can't believe how the time has gone by so quickly. Here's my first card in over a year...I hope it's a good one! ;) It's for my mother-in-law, her birthday's in August. Anyone who knows me knows that I can't do a card without doing the inside as well. Why not put some prettiness in?? I totally CASED this card and I don't know from who. The original had different colours so I thought change it up a little. This set is so great, there's so much you can do with it. 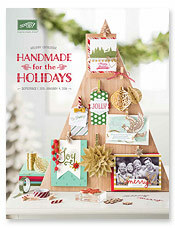 Using the Big Shot, cut a Top Note out of Glossy White card stock and Old Olive card stock. Stamp flowers and sentiment in Basic Gray Classic Ink on the glossy card stock. 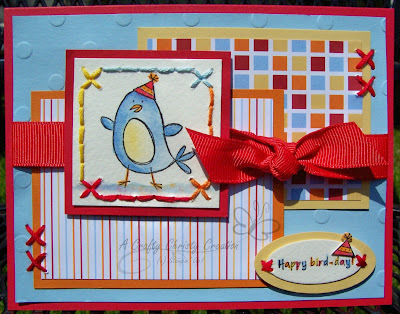 Round corners of Basic Gray card stock and Rich Razzelberry card. Sponge the flowers with Basic Gray, Rich Razzelberry, and Old Olive Classic Ink. Cut off edge of glossy top not and adhere to olive top note. Using the White Gel Pen, draw stems and accents. Adhere gray card stock to razzelberry and adhere top note to card. Wrap Old Olive Satin Ribbon around card. My mother in law asked me to make a wedding card for a wedding she's going to in July. When she asked, I knew I had to use this set from the Summer Mini, Blissful Bride. I love this set, it is just so beautiful. This card is 5-1/4 x 5-1/4. Wedding cards are always a little nicer when they're bigger than the typical size card. Don't forget the inside! Stamp dress on Confetti White card stock. Using the bouquet stamp, stamp around the edges. Watercolour the flowers, sash, and around the dress using an Aquapainter and Pretty in Pink ink. Colour flower centres with Basic Gray marker. Mount on Basic Gray card stock. 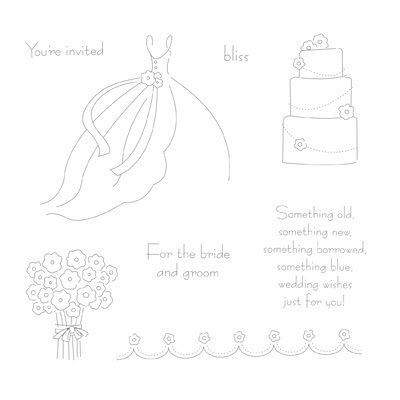 Using Basic Gray Marker and Pretty in Pink Marker, colour "For the bride and groom" stamp. Huff on stamp and stamp on Confetti White card stock. Punch out with Designer Label Punch. Emboss Pretty in Pink card stock with Polka Dot Embossing Folder. Using the Eyelet Border Punch, punch Whisper White card stock. 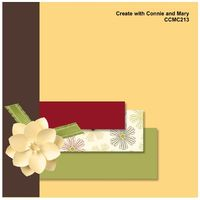 Paste white border to Designer Series Paper. Paste sentiment to this piece. Place Hodgepodge Hardware over sentiment. Paper Pierce holes for brads, poke through. 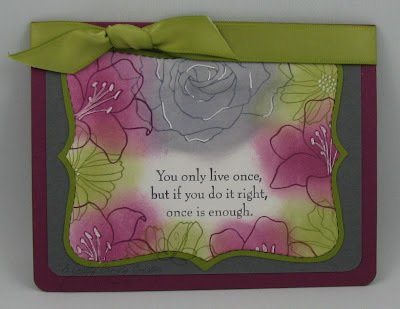 Paste embossed Pretty in Pink card stock, Whisper White border, and the Designer Series Paper to the gray card. Wrap Pretty in Pink Satin Ribbon around card twice. Tie a bow by wrapping White Taffeta Ribbon around looped pink ribbon. Pull Taffeta Ribbon through Silver Ribbon Slide. Tie in a knot. Using Dimensionals, adhere wedding dress. Apply Dazzling Diamonds with 2way Glue Pen. Using Big Shot, cut out butterflies. Adhere to card. Please let me know if you have any questions about anything I've done. With our Retirement Party coming soon we've been busy designing the make & take projects and this was the one I designed. Unfortunately we're not making this one so I thought I would share it with you. I used the retiring set Garden Whimsy which I'm going to miss. It's super cute! Stamp Butterfly image on Whisper White card stock. Stamp a second butterfly to cut out. Sponge around the edge with Taken with Teal ink. Adhere White card stock to Taken with Teal card stock. Paper Pierce the butterfly's flying path. Adhere just the body of the cut out butterfly to the first butterfly and prop up wings for a 3D effect. Punch out circles using the circle punch in Pink Passion, Barely Banana, and Taken with Teal and adhere to Pink Passion card. Sparkle the Pink Passion circles with Dazzling Diamonds. 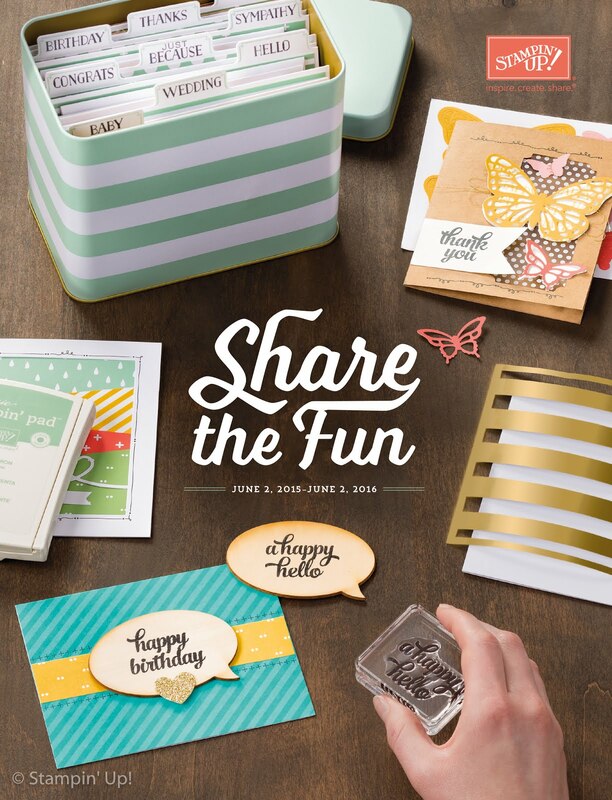 Emboss the Barely Banana card stock with the Polka Dots Embossing Folder and your Big Shot. Adhere to card. Using Dimensionals, adhere the butterfly image to the card. Using the Stampin' Up Blossom Party Die, cut out flower and flower centre. You will need to cut out all three colours, I did it at the same time by putting all three in at once. Stamp greeting on white card stock. Using the My Way Punch, punch the end of the white card stock so it looks like a banner/flag. Glue flower together but I put the greeting just under the flower centre. Sparkle the butterfly and the flower centre. And you're DONE! Today we got together to celebrate both my brother's birthdays. My younger brother's birthday is today and my older brother's is Saturday. I made this card to give to my younger brother. He suits these "punny" sort of things and I have to say, I think he's one of the sweetest guys I know. He is so generous and caring and never gets off the phone until he says, "I love you!" He is a tremendous person, I love him a lot. 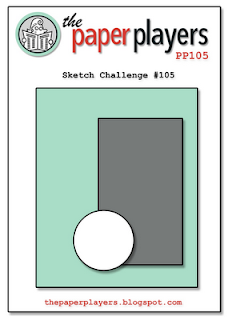 Ok, now that I'm misty eyed...This card is for Kerin's Sketch Challenge. I love this sketch, even though I altered it a bit. I love layering on my cards...they're heavy but nice! 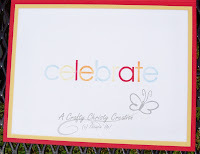 Check out Kerin's blog for her beautiful card!